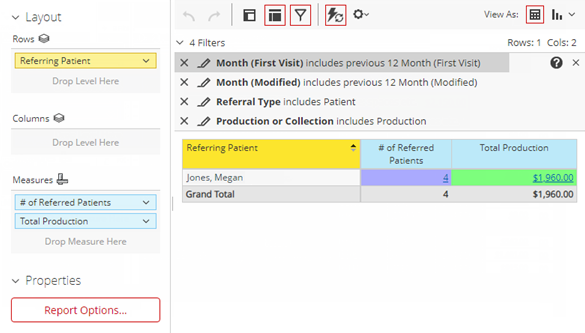 The Production by Referring Patient Report displays production amounts during the previous 12 months as a result of patient referrals. For each referring patient on the report, the number of referred patients and total production appear. The report also displays the total production from all referring patients combined. On the Power Reporting page, click (or tap) the Production by Referring Patient icon.